The General Assembly of the International Society of Biodiversity of the Guiana Shield (IBG) unanimously approved the award to host the IV International Congress on Biodiversity of the Guiana Shield in 2016 to Guyana. 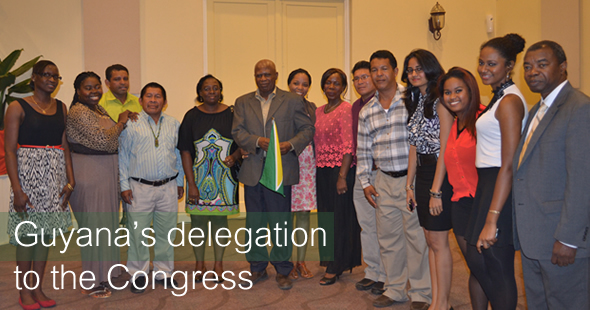 The Guyana’s case to host the IV Congress was presented by Ms. Vanessa Benn of the Iwokrama International Centre. Ms. Benn and Dr. Patrick Williams, Country Director of WWF Guyana, were nominated to serve as Guyana representatives on the IBG’s Board for the next three years. This entry was posted in News by guyanaconservationnetwork. Bookmark the permalink.